Your local 1763 is planning a two-night camping trip at Five Islands Provincial Park located at 618 Bentley Branch Rd, Five Islands, NS. The tentative date of the camping trip is August 21st and 22nd. The event is open to family members of all ages and is a tent-only event. In order to book sites, we will need an estimate of participant numbers. Please send an email to Event1763@gmail.com before April 30, 2019 if you would like to attend. If you have any dietary restrictions please outline these restrictions in your email. 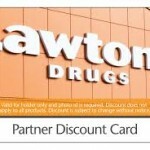 Local 1763 has set up a Membership Account that entitles active members and retirees to Lawtons Discount Cards & MHCSI Benefits (Managed Health Care Services Inc.) & discounts with select Maritime Pharmacies. We would encourage you to enroll in both of these beneficial programs, you can obtain more info by contacting MHCSI at 1-888-686-6427. Confidential Contact- We care about you and we’re here to help. Whether you need advice, counseling or just need a little help- we are here for you 24/7/365. Remember it’s Confidential.